Here’s the mystery year’s ROM party! 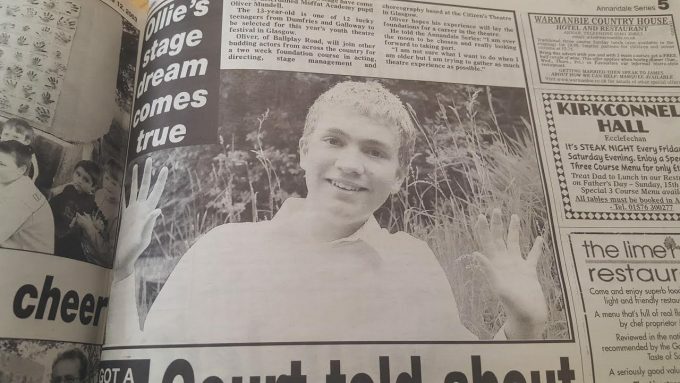 In this mystery year, Dumfriesshire’s now MSP, then aged 13, was in the lime light for a much different reason! 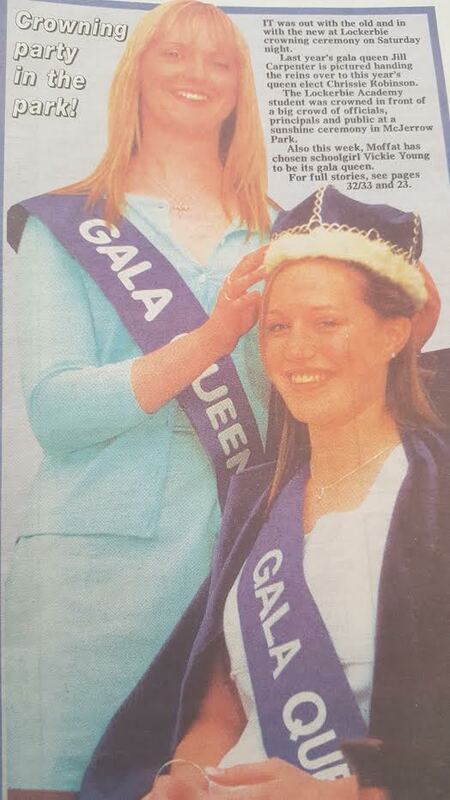 Chrissie Robinson was Lockerbie Gala Queen . . .but can you name that year? 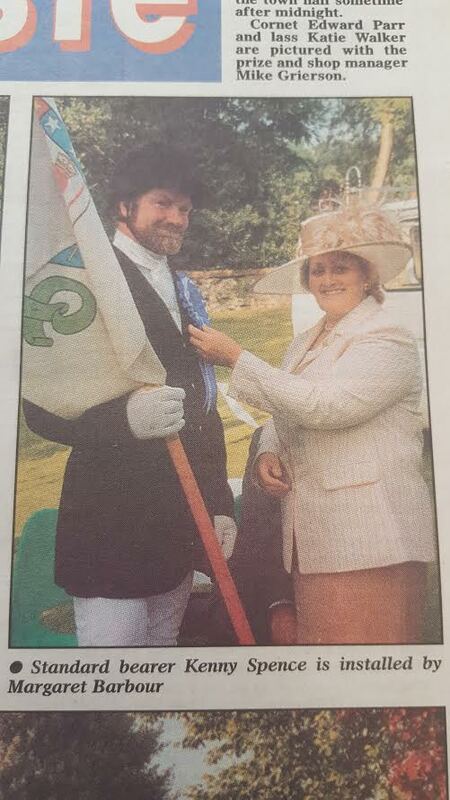 And Kenny Spence was Standard Bearer in Lockerbie. 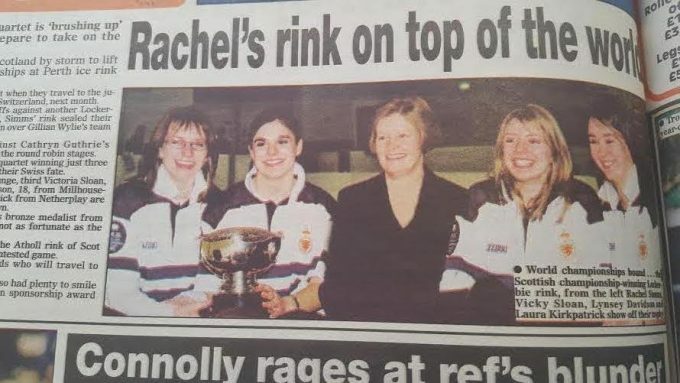 This team of Curlers were World Championship bound! 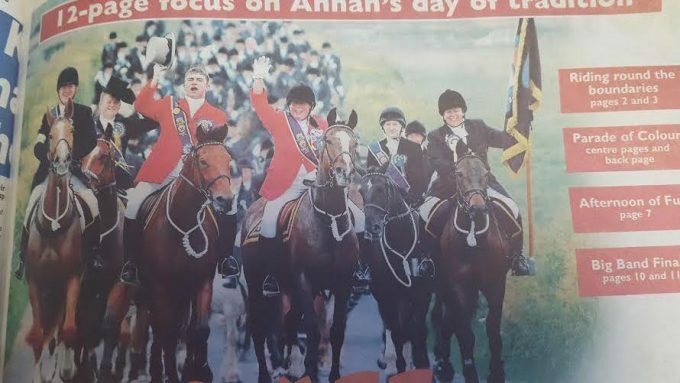 But what year was it?